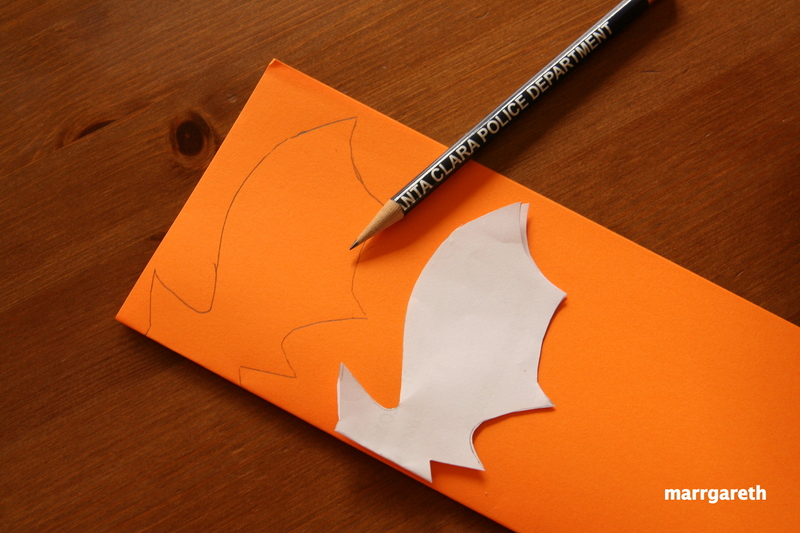 Very easy and quick Halloween project to make with a young child. Even the youngest one can manage this project. Before you start the project make sure all the needed materials are ready and keep in mind that the atmosphere at work with children has to be nice. Each child has different abilities, be patient. If you think that something is too difficult for your child, just help him, but try not to do everything yourself. We (me and my 2.5 year son) chose orange paper. Take one piece of colour paper and fold it in half. 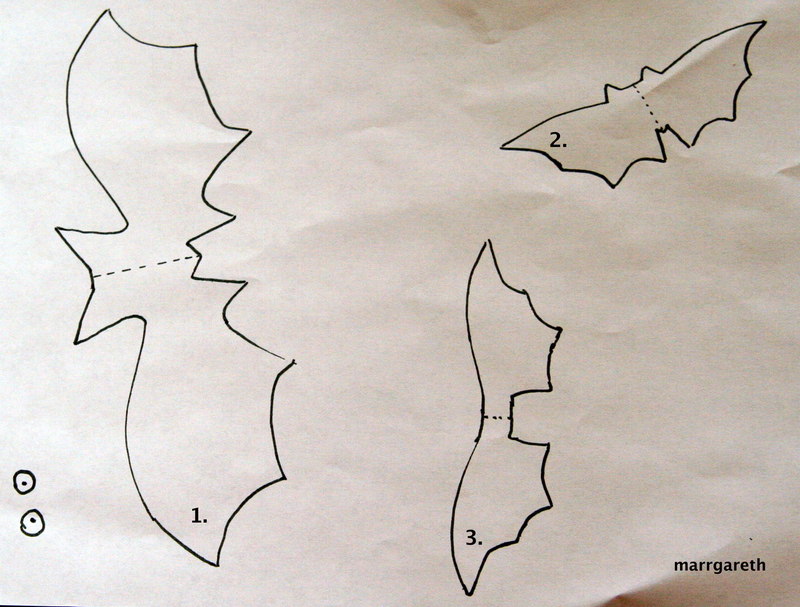 Trace the pattern shape of the bat on the folded colour paper, look at the picture below. Cut out the bat. 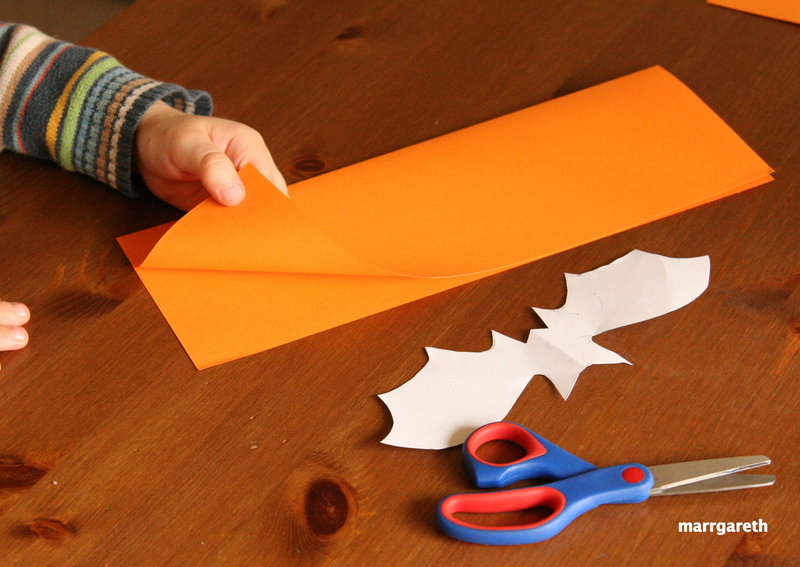 If your child is able to handle scissors, let him cut out the shape. 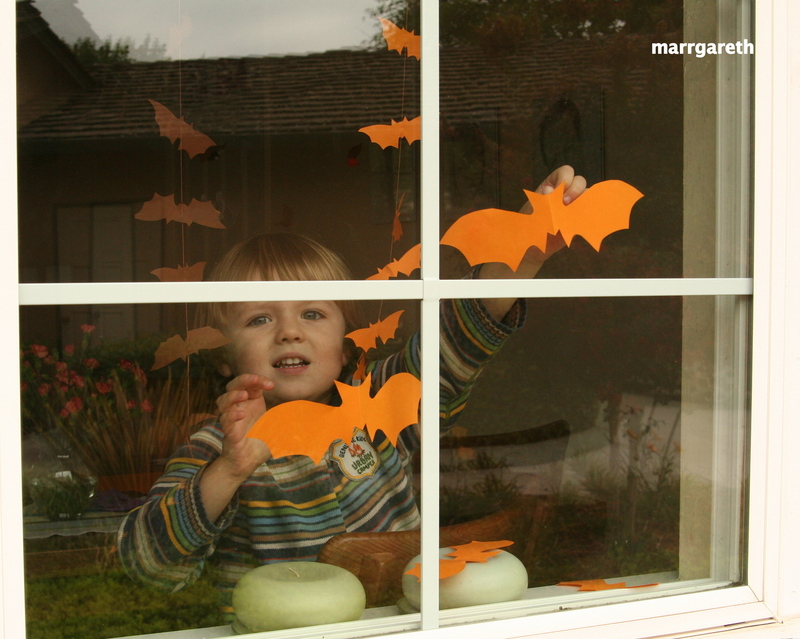 Using a small piece of tape, stick the bat to the window. 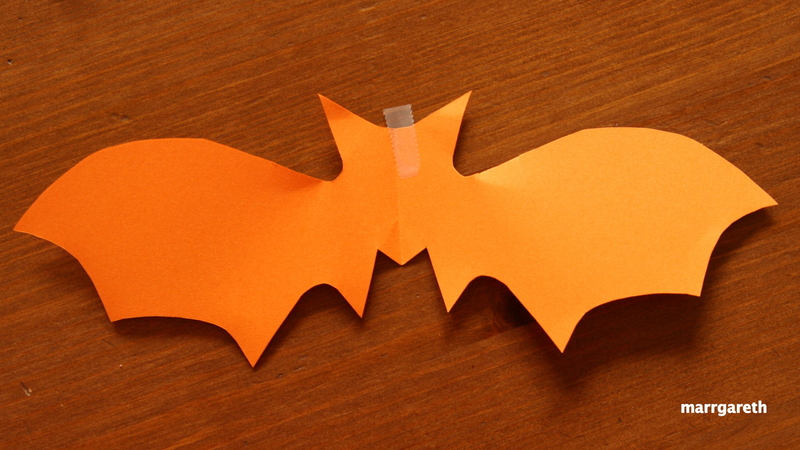 Bats of this type can be used to decorate the walls in children’s room or front door. I am sure that you and your child will find a perfect place for them in your home. Let me know how the work went. What a fun project for kids… Your little one is too cute!! !